Those who succeed don't give up and let their mistakes define their future. As part of GOBankingRates Best Money Expert 2017 competition, the top personalities and leaders in personal finance shared their advice for turning a failure into success. The world's best money experts weren't necessarily born into a lavish lifestyle. Some worked their way up from humble beginnings. And many studied the lives and advice of successful entrepreneurs to figure out how to make it to the top. Still, there's one thing they all have in common: They've all made mistakes along the way. Financial mistakes can be painful, but knowing that others have tried, failed and eventually succeeded can help you overcome your financial hurdle. Keep reading for some of the best money advice so you can quickly bounce back from a financial failure. When you make a financial mistake — such as paying the monthly mortgage late, withdrawing from your retirement account too soon or buying something you really can't afford — resist the urge to blame yourself. Instead, focus on improving or erasing the habits or decisions that contributed to your financial failure. "When it comes to finances, it's more important to focus on discipline rather than perfection," said Wes Moss, host of the "Money Matters" radio show. "We all make mistakes in life, and sometimes those mistakes are financial. But rather than beating yourself up about it, you should use it as a learning tool. Just be sure to learn from your mistakes the first time you make them." Moss's successful career as the chief investment strategist at Capital Investment Advisors led to him being named one of the top 1,200 financial advisors in the country by Barron's magazine. 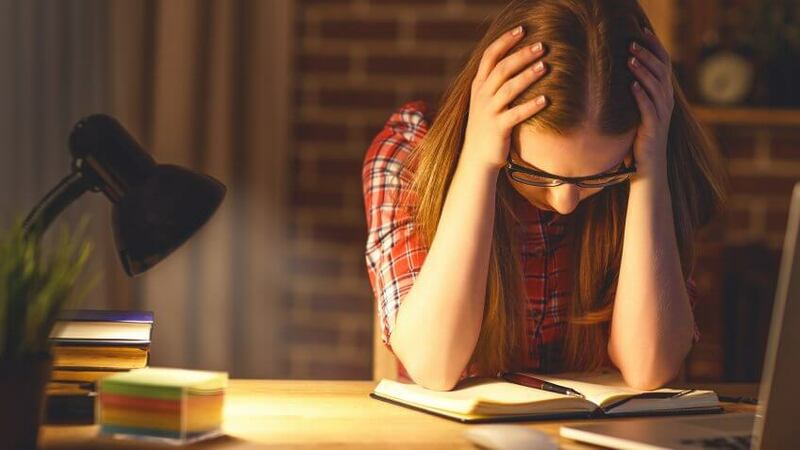 David Bach, a financial expert and author of the New York Times best-seller, "The Automatic Millionaire," also said it's important to learn from your mistakes instead of worrying about them. "The whole key to failure is to look at it as an opportunity ... It's normal to make mistakes. The key is to learn from them," he said. "Show me someone who's been successful and become a millionaire, and I will show you somebody who's made a whole lot of mistakes, but they simply learned from them." John Rampton's successful career as a well-known entrepreneur and connector began when he was confined to a hospital bed for 12 months after being run over by a construction site "skidster." As he recovered and learned to walk again, he spent 16 to 20 hours a day on his computer learning how to market products online. Entrepreneur magazine recognized Rampton as No. 2 on its list of the "50 Online Marketing Influencers to Watch in 2016." He views his accident as a stepping stone to his career, and offers advice on what to do after suffering a financial failure. "First and foremost, it's okay to 'shut-down' for a week or so," he said. "But no longer than that. Once it's out of your system, immediately reflect on your journey." Whatever your financial failure might be — whether it be falling into debt, going through a bankruptcy or dealing with a foreclosure — take the time you need to really understand what went wrong and what you can do in the future to avoid making the same mistakes that led to your setback. Documenting your financial failures can help you avoid making the same mistakes. "Take the time to seriously write down what you believe went wrong," said Bach. "The reason to write this down — and not just think about it — is so you have a concrete record of something you can go back to and look at again. And you can really learn from it," he said. Whether you missed a credit card payment or went over your budget, write it down in a notebook. Then, figure out what exactly went wrong. "Was it something that you did wrong? Or, was it beyond your control?" said Bach. Once you figure out what went wrong, write down what would you do differently the next time. Perhaps you missed a credit card payment because you were preoccupied and forgot. If so, you might choose to set up automatic payments. Or, maybe you went over your budget for the week because you spent extra money on lunches. Next week, you can choose to bring your lunch to work every day to stay within your budget. The last thing you should do, said Bach, is to find out if there's anything "you can do now to improve upon the situation you currently find yourself in." You don't need a neuroscientist to tell you that retail therapy makes your brain's pleasure centers light up. But breaking your carefully planned budget leaves you miserable with buyer's remorse long after the feeling wears off. 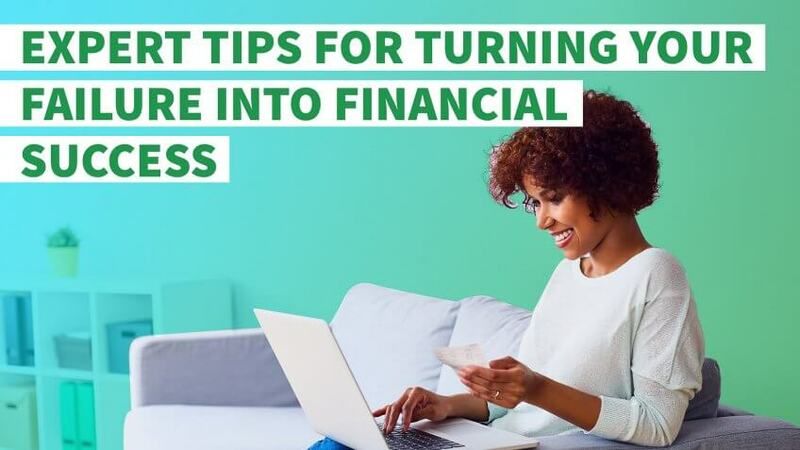 If one of your financial setbacks is always going over your budget, there are ways you can fix your situation immediately. Instead of shoving the offending purchase in the back of the garage or closet and trying not to think about this financial failure, do your best to remedy the situation. 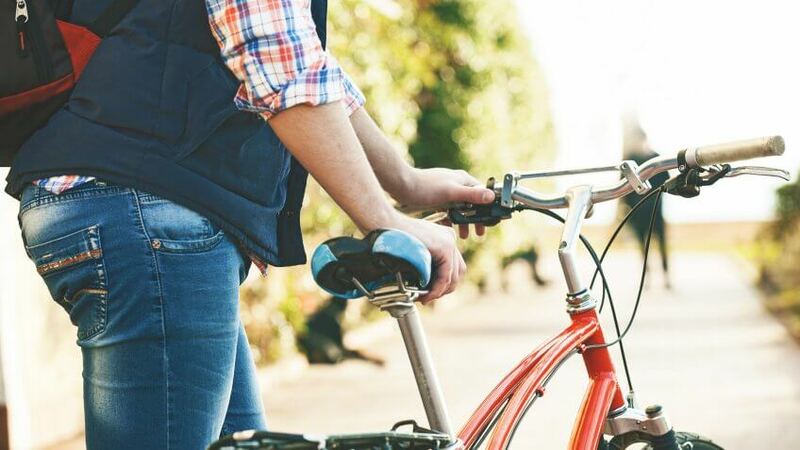 Award-winning journalist and personal finance columnist Bobbi Rebell offers this simple advice: "If you buy something you can't afford or regret for some other reason, simply try to return it." Even if you lost your receipt or the item is non-returnable, Rebell advises trying to sell it. "Even if you don't get the full value, you will get something. Worst case, give it to charity and make sure to properly document so you can get a tax deduction." What's your biggest money mistake? Racking up credit card debt? Withdrawing money from your retirement account? If so, you might have more in common with award-winning financial journalist Jean Chatzky. One her website, Chatzky shared the money mistakes she's made in her life. "I spent more than I made, racking up high interest rate credit card debt equal to a full half-year's salary," she wrote. "I withdrew money from my 401k rather than rolling it over when I left my first job — costing myself taxes and penalties. And I ceded control of way too much of the money in my life to others." Although some of these financial setbacks might seem detrimental, Chatzky's success — she's the financial editor for the "TODAY" show and she has her own podcast on iTunes — is a testament to her hard work to overcome them. If you want to bounce back from your mistakes like she did, ask yourself a few questions first. "Everyone fails," said Chatzky. "The follow-up questions have to be: Why did this happen? And how can I prevent it from happening again? If you were late, for example, paying a bill, perhaps it happened because you put that bill in a large pile that you never looked at again. (Or shoved it in your trashcan of a tote bag.) Could you get in the habit of paying all bills as they come in? Or, automate payments to prevent this from happening in the future?" There was a time when The Penny Hoarder's creator and CEO, Kyle Taylor, struggled financially. After he dropped out of college, poor money management and bad spending habits left him with more than $50,000 in student loan and credit card debt. "I've since learned from my mistakes," he said. "I learned to treat credit cards not as free money but as important tools in my financial journey." Bad credit card habits can be detrimental to your financial success. But you're not the only one who's encountered setbacks thanks to a credit card. According to GOBankingRates' 2016 Household Debt survey, the median credit card balance is $2,000, indicating that many Americans might be financial failing at building credit and paying bills. The good news: It can be relatively easy to recover from this financial failure — if you take it seriously. Find a credit card with a low rate, avoid making certain purchases with your card and make your payments on time. Not only will you get yourself out of debt, but you'll enjoy some of the perks that come along with good credit habits. "Building strong credit helps with lower interest rates, approval for higher credit limits, and better credit card rewards and insurance rates down the line. I always recommend that folks start learning how to manage their credit early on," said Taylor. "It may have taken some time to get there, but I'm in a good place now with a business and assets to my name." Today, Taylor's blog and one of his proudest achievements is The Penny Hoarder, which has become a leading finance blog in the U.S. with more than 6 million active subscribers and 19 million readers each month. It also ranked as the 32nd fastest-growing private company in 2016, according to Inc. 5000. "Hitting rock bottom early on taught me to always strive to improve from my missteps," he said. "Now when I hit road bumps in my business, I'm able to recover quickly and move forward." 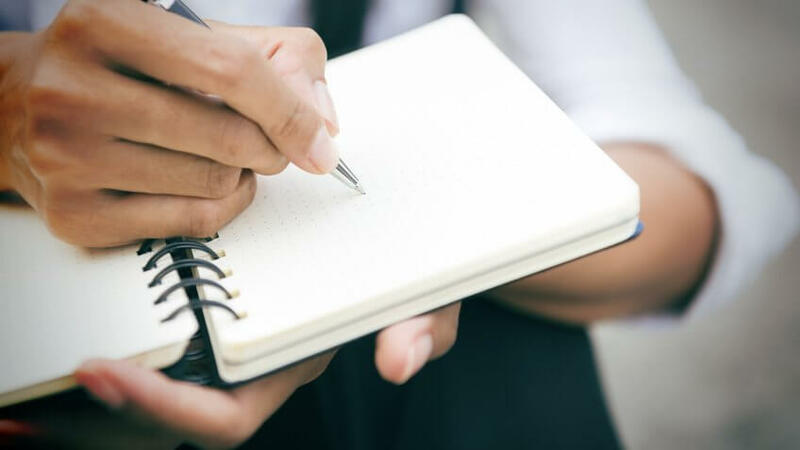 Depending on your financial mistake, writing down your mistake might not be enough to help you learn from it. Instead, you might want to enlist the help from a financial expert or a mentor if you're going through a serious financial setback, such as losing your home or battling a lawsuit. "It's also helpful to bring in a third party to help analyze," said Rampton. "This is the best way to gain a constructive perspective on your failure. Work with your mentor to decide if you want to give it another shot, or if you're better off enjoying a new beginning." A financial expert can also help you overcome smaller setbacks and practice better strategies. For example, perhaps your financial failure involves losing a ton of money in the stock market. In that case, you'll likely want to consult with an advisor. "From a financial planning perspective, it's important to recognize where things could have been managed better and then take the time to sit down with a financial professional to plan a corrective course of action," said James Capolongo, the head of consumer deposit products at TD Bank. "When it comes to managing your money, the biggest failure is not getting started — letting fear of making a mistake keep you from doing anything at all, like investing or asking for a raise," said millennial money expert Stefanie O'Connell. "In those cases, you're trading the possibility of losing money or facing rejection with the certainty that you won't gain anything. And that's a bad trade." As a 22-year-old actress traveling the globe with the international tour of the musical "Cinderella," O'Connell thought she was living the dream. But when she returned to New York as an unemployed actress following the financial meltdown of '08, she decided there had to be a better way. So, she learned as much as she could about personal finance. "It's better to dive in, even if you make a few bad choices along the way, than it is to sit on the sidelines worrying that you won't make the best possible choice," said O'Connell. Today O'Connell teaches young audiences the financial savvy she learned as she survived the highs and lows of a "starving artist" lifestyle. She combines her love of storytelling, theater and financial savvy in her book "The Broke and Beautiful Life" and online. Once prisoner to $40,000 in debt, Lauren Greutman got herself out of it. She shares her financial savvy with women on her money-saving website, LaurenGreutman.com and in her book "The Recovering Spender." But before achieving financial freedom, Greutman struggled with budgeting. "For years I failed to budget successfully," she said. "I would budget, then bounce a check. I would set a grocery budget, and leave the store in tears because I went over." Instead of dwelling and giving up on the whole concept, Greutman kept at it. In fact, it's this failure that can help you master better money habits. "Budgeting is like learning how to ride a bike," she said. "The first time you get on your bike you fall, then you learn that in order to stay upright you have to keep pedaling. If you never fell off the bike the first time, you would have never realized this. Life's failures are very similar. In order to know where you need help, you need to see your weaknesses, which are brought out in failure." If you have problems staying within your budget, Greutman recommended that you "think of your newly created budget as a fence around your money. The fence says, 'Here is how you can spend your money.' It doesn't say you can't have fun or can't spend money, which is how you guess it will feel. The budget fence only says, 'Here is how you can spend your money. Learn how to have fun within this fence.'" Rachel Cruze, daughter of financial expert Dave Ramsey, is the author of two best-selling financial books: "Love Your Life, Not Theirs" and "Smart Money, Smart Kids." So, she knows "that money mistakes we make can have long-lasting repercussions." If you've failed to budget, have fallen into sky-high debt and keep racking up credit card bills, you will likely feel those "long-lasting repercussions" when you apply for a loan or credit card and get denied. Or, when you apply for either product and get stuck with a high interest rate. But to avoid making a money mistake that can leave you with dire consequences, Cruze offers a two-part strategy: pay off your debt and use cash. The first step is to use the debt snowball method. "List your debts smallest to largest, regardless of the interest rate," said Cruze. "Attack the smallest debt with every dollar you have, while making minimum payments on everything else. Once you've knocked it out, roll everything you were paying on the first debt to the second debt. Keep going until you're completely debt-free, except your house." As you're taking steps to minimize your debt, avoid incurring any more interest and stop overspending. That's where cash comes in handy. "You actually spend less when you spend with cash," said Cruze. "Why? Because cash is emotional; there's an actual exchange that happens. You don't get that same sensation when you swipe a piece of plastic, so you end up spending more on your purchases. Plus, using cash is a great reminder that money is finite; it has limits. When it's gone, it's gone." In fewer than 10 years, blogger J. Money rocketed from a net worth of $58,769 to over half a million. How'd he do it? He shares his journey and strategies on his websites, which include BudgetsAreSexy.com and RockstarFinance.com. He's won numerous awards for sharing the best money advice, including a 2016 Plutus lifetime achievement award. But before he started blogging about finances, he held dozens of jobs ranging from 7-Eleven sandwich maker ($8 an hour) to graphic designer ($78,000 a year). Money's perspective on failure? "Fail early and quickly so you get used to it and, over time, get better when more skin is on the line," he said. When it comes to recovering from financial failure, Money's unique advice includes keeping track of your mistakes so you don't make them again. "Document your failures in a spreadsheet with what you did," he said, "and what you learned from it, else we're likely to forget." Also, "tell the world of all your failures so they won't let you forget," said J. Money. "[This] has the added benefit of making them feel better about their own failures." Sydney Champion contributed the reporting for this article. Most Americans are financially unprepared for an emergency.